Paranormal 911 Investigations was honored to be one of the few paranormal investigations groups that have been allowed to investigate Hillforest which was the home of industrialist Thomas Gaff and his family. The home is now a registered as a National Historical Landmark. 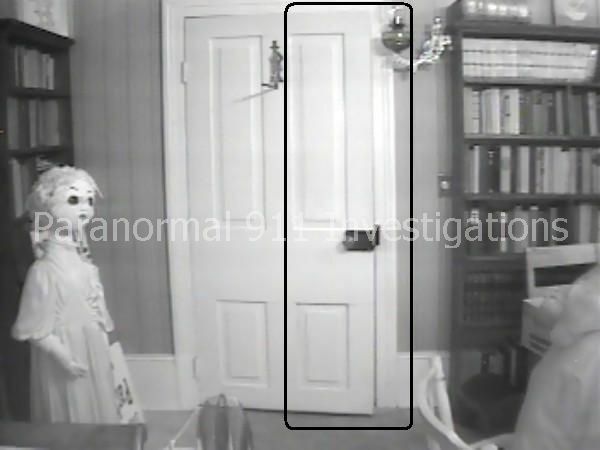 Events experienced during the investigation were K-II hits in one of the bedrooms, feelings of extreme heaviness and sadness in the basement and one investigator feeling a hand placed on her shoulder. When starting to speak of the feeling, she felt a second hand on her back as if someone was standing behind her when no one was there. The investigator was using dowsing rods at the time and it was felt that perhaps the spirit was trying to reach through to operate the rods. Our intuitive investigators felt the presence of children running back and forth playing upstairs and also had impressions of men conducting business in the belvedere (look out area) located on top of the house which were backed up by EVP evidence obtained. This structure was very enjoyable and interesting to investigate. It has a long, colorful, history and serving various functions over the years ranging from family home, doctor’s office, drover’s inn, tavern, apartments and restaurant. It is currently a historical building that gives tours to 4th grade students throughout the area. It houses many historical artifacts from the original family and surrounding area that have been donated to the house. 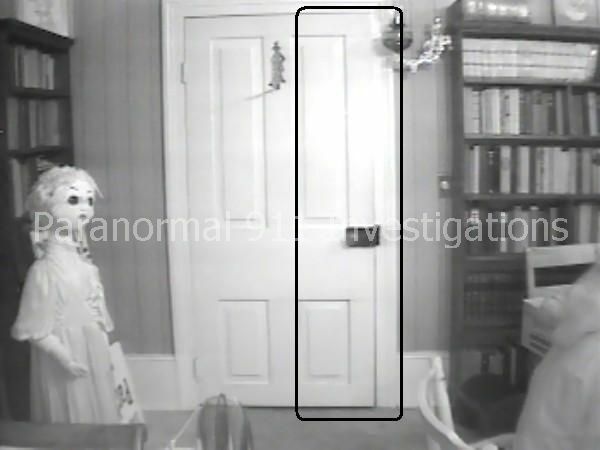 Video of our Central House Investigations can be found on our "Footage" page under "Ghost Central Station"
There have been reports of visitors seeing a young girl and hearing her singing. Other activity reported has been a pump organ playing notes when no one has been near it, chandeliers swinging and objects being moved. P911 performed an overnight investigation at this location and received many EVP’s, along with capturing a doll’s head moving on its own and chandeliers swinging on their own both upstairs and on the main level. Efforts to debunk the chandelier movement proved futile. The building is a very solid building walking across the floor or upstairs above the chandelier did not make it move. 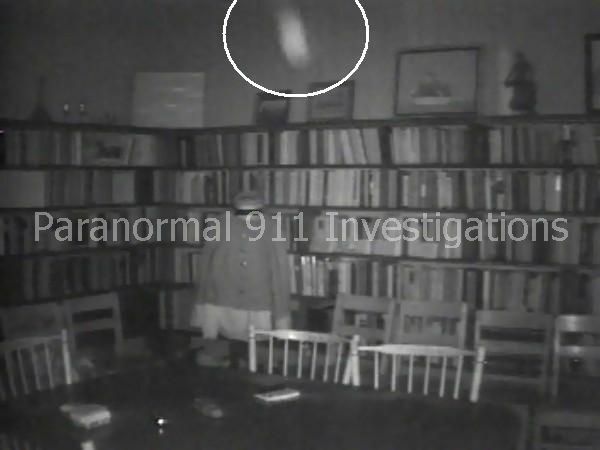 Orb activity captured on camera could be described approximately 90% explainable, however, there were many instances of a larger orb followed by a smaller orb throughout the night. 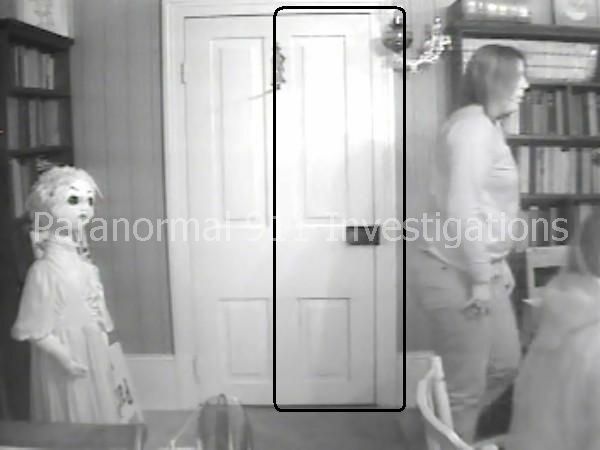 Paranormal 911 conducted an investigation at the Gas Light Inn which was followed up by two investigations on one night involving the public. Many patrons of the restaurant had reported seeing the image of a little girl and a woman in the past. The owners had felt a presence in the basement which made them uneasy. A preliminary EMF sweep of the building indicated very high EMF readings due to high power lines being directly outside of the building. This eliminated our use of any type of EMF meters during the investigation. During both the private and public investigations, P911 relied upon the use of dowsing rods, intuitive investigators, audio recorders, infrared cameras and hand held video cameras. 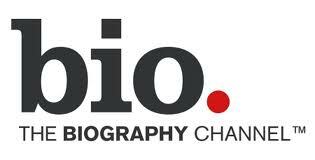 Evidence from this investigation was featured on the Biography Channel’s “My Ghost Story” program in the spring of 2011 and may be seen by clicking on the "Footage" tab and selecting Haunted Speakeasy. 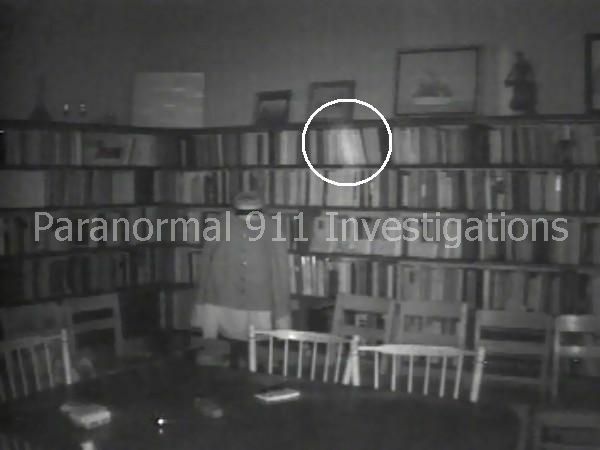 Evidence that was obtained from the investigation was a full body apparition of a man in the basement. This man appears in a suit that would have been the style in the early 1900’s. Our intuitive investigators have all associated the name “John” with this presence. In depth research indicated that a former owner of the building for 40+ years was named John Dransfeld. During the period of time that he owned the building, it served as a residence upstairs and a tavern downstairs. During the years of prohibition, the use of the building was listed as grocery or restaurant depending on the year. A little girl’s presence was captured on video as well popping in and out from behind posts. She is a very playful spirit and enjoys interacting with the patrons of the restaurant. Many have felt her touch their hands. 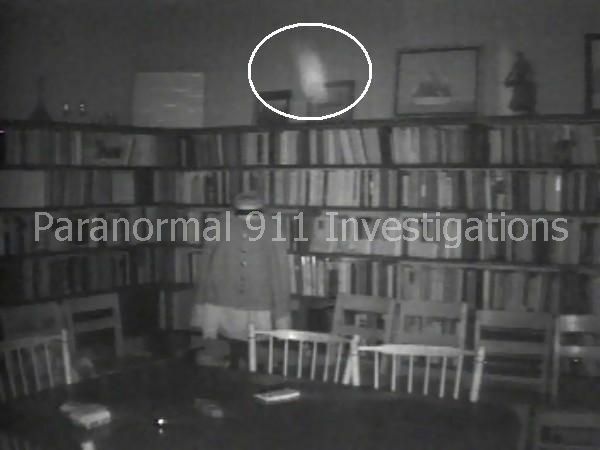 The presence of a woman wearing a long dress such as the style in the early 1900’s was detected upstairs. Many patrons and team members have seen her peering out of an upstairs corner window. Bonaparte's is an ongoing investigation for P911 and a part of our overnight paranormal investigations in which we allow the public to participate. The building has a history of being a livery, hotel, tavern and restaurant over the years. It's most unusual feature is the double dug basement which contained a secret room that was a part of the Underground Railroad. We have experienced both intelligent spirits and residual activity in this building. Dinner guests and employees report having seen a female apparition on numerous occasions in several of the dining areas and on the stairway leading to the upstairs banquet room.